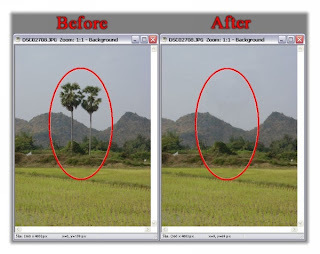 Photo Pos Pro is an image editor and it is also a powerful tool, that lets you edit, enhance image and digital photo with different levels that from basic to professional. you can edit existing images, create new works based on existing images, create new works from scratch and more. 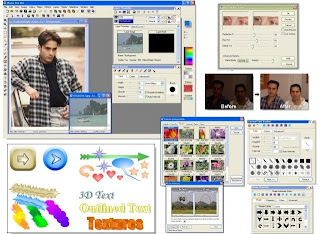 If you like edit photo or design something maybe you will like it, but Photo Pos Pro is not a freeware, it costs almost $50 bucks. Here has a way to get it for free, steps are very simple, Softpedia just giveaway this free full license now. Go to this page, fill this form like this screenshot below. That is all. You need check your email make sure you got register code with an email that from Photo Pos Pro. 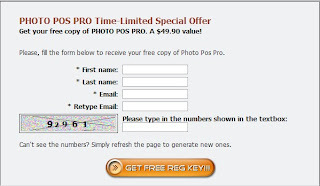 After that you need download Photo Pos Pro or direct click here download. After you installed it you need use register code that you got to active software, it must be online do that.